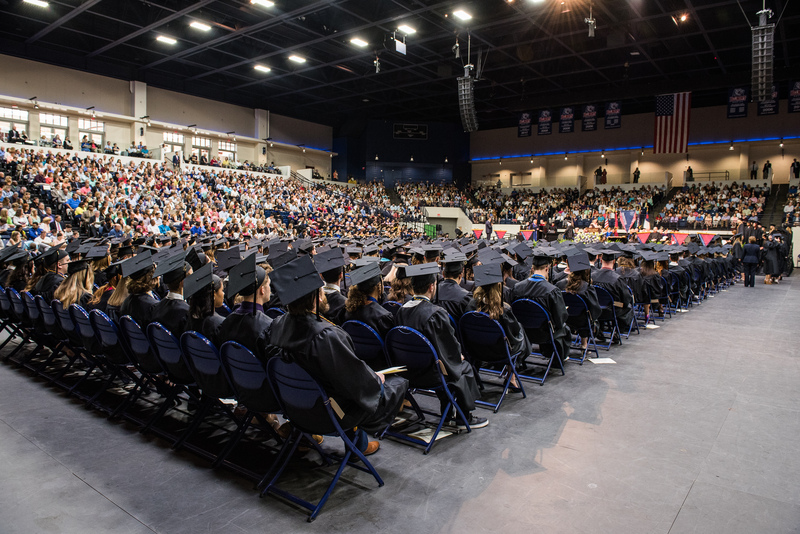 Belmont University held its December 2017 commencement ceremony for graduate and undergraduate students at 5 p.m. Friday, December 15, in the Curb Event Center. The University celebrated the graduation of a total of 418 students. During the ceremony, 361 bachelor’s degrees, 56 master’s degrees and 1 doctoral degree were conferred. The commencement ceremony can be viewed in its entirety here.